CẦN THƠ — Representatives of the YK Corporation of South Korea have shown interest in investing in National Highway No 91C in Cần Thơ City in the Mekong Delta. Lê Tiến Dũng, deputy director of Cần Thơ City’s Department of Transportation, said that National Highway No 91C would be more than 30km long and 31m wide, with four large bridges and 21 smaller ones. The cost of the project is expected to be VNĐ15 trillion (about US$ 714 million). The highway will connect all industrial parks with the Cái Cui Port. 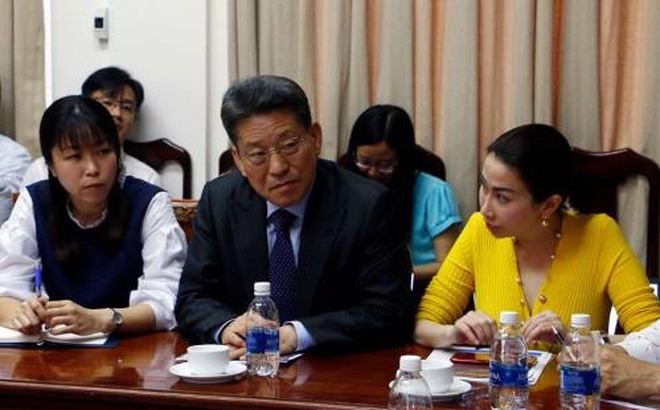 Jang Sang Kyu, chairman of the YK Corporation in South Korea, said in a meeting on Tuesday with the city’s People’s Committee that South Korea enterprises were interested in many projects in Cần Thơ, including National Highway No 91C. YK Corporation has proposed two plans. The first would be investment under the BOT (Build-Operation-Transfer) mode within a 30-year period. In the other plan, Cần Thơ City would invest 20-30 per cent of the total costs and the rest would be loaned from the South Korea government. Võ Thành Thống, chairman of Cần Thơ City’s People Committee, said the city wanted to invest in National Highway No 91C 10 years ago but lacked capital. He said the city preferred to invest in the highway via the BOT mode. Jang Sang Kyu of YK Corporation also proposed investing in an 18-hole golf course covering 100ha in Cần Thơ City. The city has one golf course scheduled to open in 2018.